Flipboard has already made its recognition as most used app for reading news and updates connecting to any websites just like a magazine by flipping pages. It is going to make some more personal customized approach to "Cover Stories" section. Cover Stories is the section of the app which constantly updating it with various news feed of interesting articles and photos. Now it can be organized by source, social network and topic by catagories. 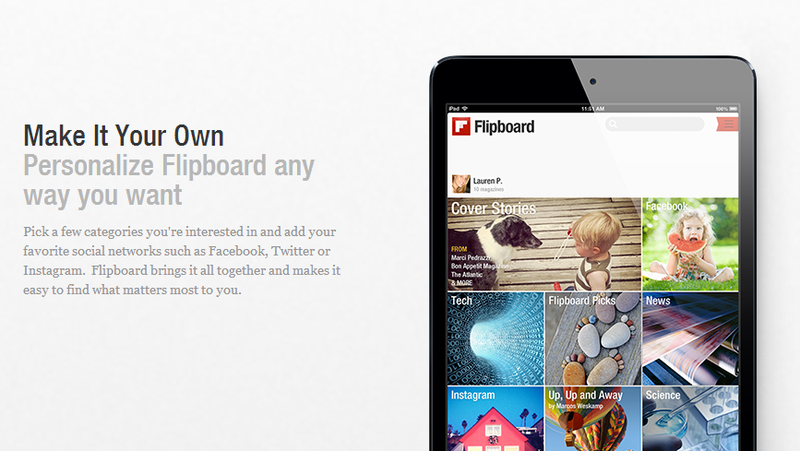 This modification is being done to know how people use Flipboard to offer a more customized experience. In future the app will feature articles and photos from the sections users most frequently browse. Mute people, post or stories can be possible at the section Cover Stories if you don't wish to get updated from them.